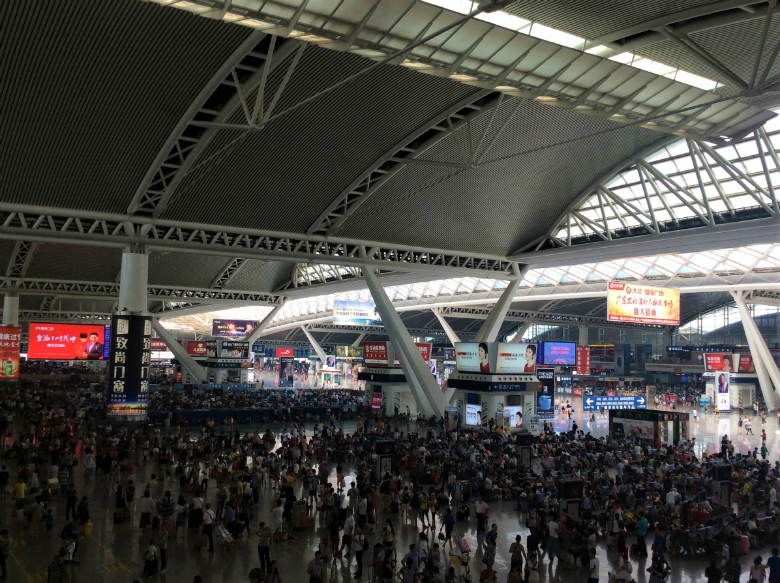 Entering China through Guangzhou is like lowering yourself slowly into a hot bath. Not a city designed for tourists – you won't find terracotta warriors or Great Walls here – a few days spent walking the streets of this modern-day city reveals a shade of China somewhere between Hong Kong and what lies beyond. 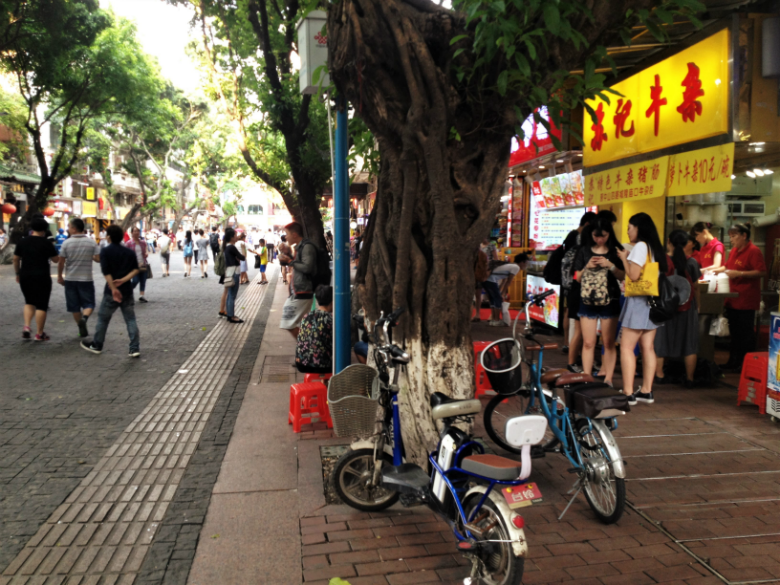 Chinese enough to whet your appetite for the wonders ahead, yet, thanks to its long history of contact with and subjugation by the West and its position in the extreme south of China, Guangzhou is somewhat surprisingly multicultural and doesn't flinch at foreigners. The trepidation we felt in crossing the border from Hong Kong dissipated almost instantly. 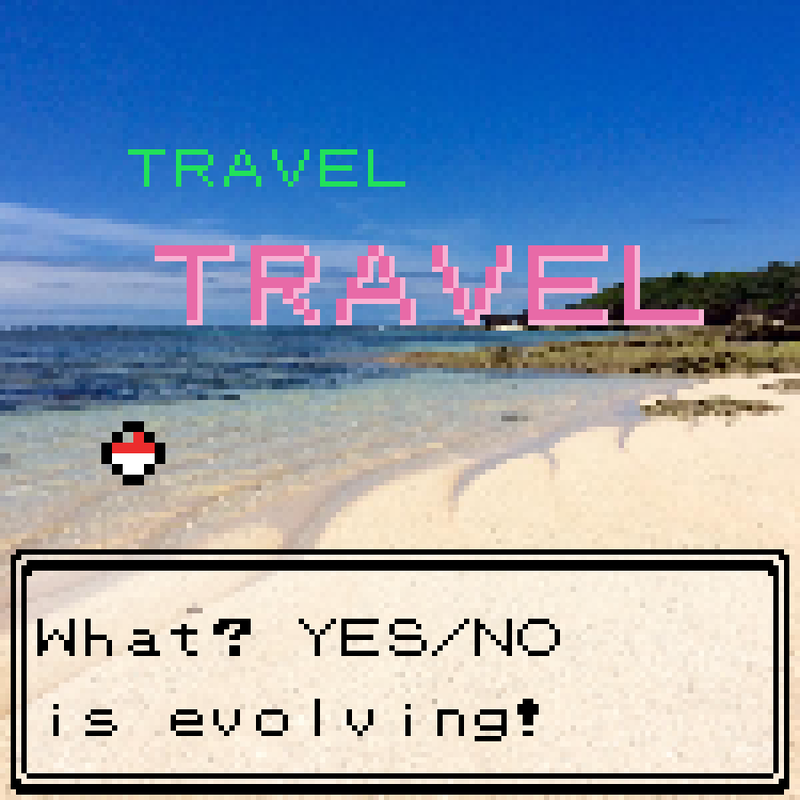 We made our first China travel mistake/oversight on our first night in the country, we booked a place near the international-airport-sized Guangzhou South Railway Station after unwittingly thinking that a railway station would be in its namesake city but, as we found out, this was not the case at all. Our family-run hotel in the sticks advertised itself as being 200m from the railway station. 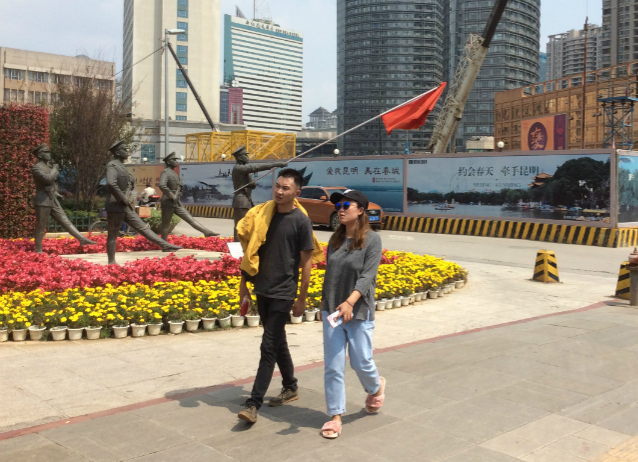 It turned out that even the hotel was more like 1000m away from the station, which itself was already over 20km outside the city centre in Panyu District. The owner of the hotel was very eager to point out that we could still see the station in the distance from the hotel. 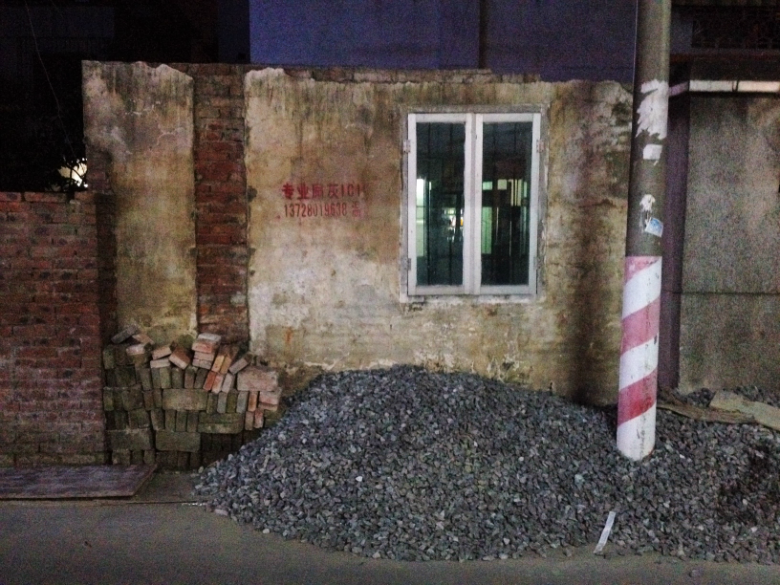 Rather than be frustrated with being slightly hoodwinked on our first foray into Chinese hotels, we took it upon ourselves to explore the small town which would welcome us for three nights. What probably used to be a small city in its own right has been and continues to be slowly encroached on by Guangzhou's expansion. Dazhoucun (大洲村) is now but an island in a sea of wide, weirdly empty highways whirling around the Goliath of the newly built steely soulless transit hub that dominates the skyline. Like a last stand against the march of the ever-looming city in its gargantuan progress, locals live out their lives in the alleys and lanes between the old bricked walls of crumbling buildings. Children play barefoot in the street and old ladies give welcoming smiles, even a banana or two, simply for finding you in their town. The strange neo-suburb of the city was far from its grim decaying appearance; we'd arrived apprehensively, but found the warm soul of this place alive with friendliness and family, offering up a window into the daily routine of everyday Cantonese people. From this strange suburb it took 40 minutes on Subway Line 2 (one of 10) on the massive metro (184 stations) to travel into the heart of Guangzhou. 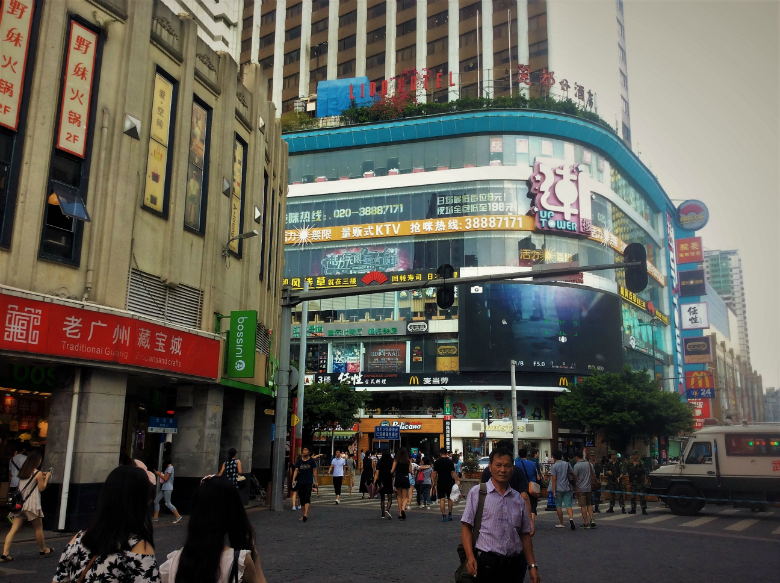 We popped up out of Gongyuanqian Station and into the daylight of a pleasantly pedestrianised shopping street bursting with busy Saturday afternoon activity. 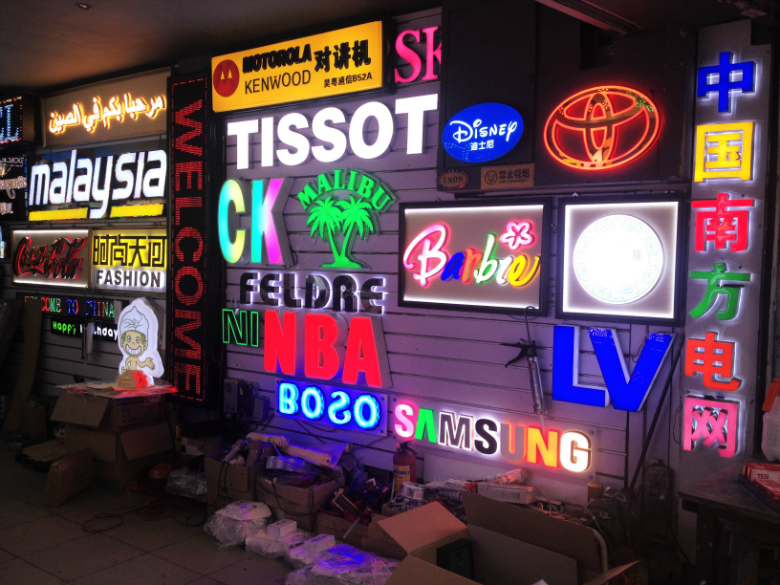 A strange strange sense of uneasy familiarity washed over us as we began to peruse the shops of Beijing Road. The Saturday scene was scarily reminiscent of a weekend high-street in Middle-England, curious parallels of red-bricked streets, groups of teenage friends messing around outside chain shops that sold the latest trends at cut prices. Balloons were handed to children and decorations for the latest festival blew in the wind above our heads. This was a high street on steroids. Lairy, loud, pumped-up. We started to play with the idea that China wasn't so big and scary after all, until we realised that at each end the street was guarded by egregious gun toting soldiers and an armoured vehicle for back up. It was on this shopping trip that we discovered Miniso. A variety store that's a perfect rip-off of Uniqlo and Muji, it purveys products that neither sells: makeup, toys, electrical do-dahs and helpful thingamajigs. You can snap up a lot of things for not a lot of money. After five minutes inside this bargain boutique we somehow had armfuls of stuff: sandals, a cap, a tote bag, deodorant, a nail kit, face wash. An attentive assistant gave us a basket. Our rational sides intervened and we enacted a swift exit. Miniso's owners insist this place is truly Japanese and not a Chinese rip-off. Honest. 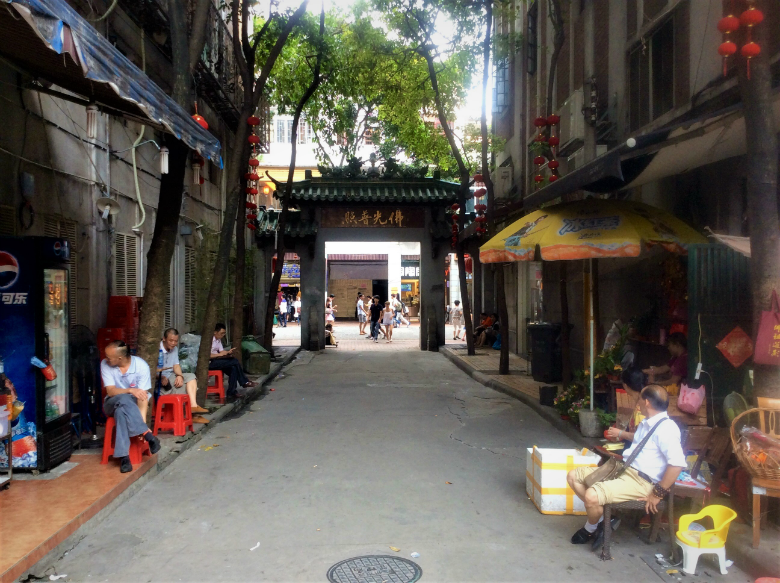 Behind the glossy shopfronts of the globalised high-street, the small backstreets of the city provide a uniquely Chinese shopping experience. Lines of lanes run off the main shopping district, informally divided into shops selling identical things. It's as if one person set up an underwear shop and ten others thought it was a good idea. Litters of lingerie sellers make way for belts, buckles and alterations; further down clusters of jewellers, pyjama shops, and then shops selling medals, trophies and flags, after a few more steps curtains and lighting make an appearance. 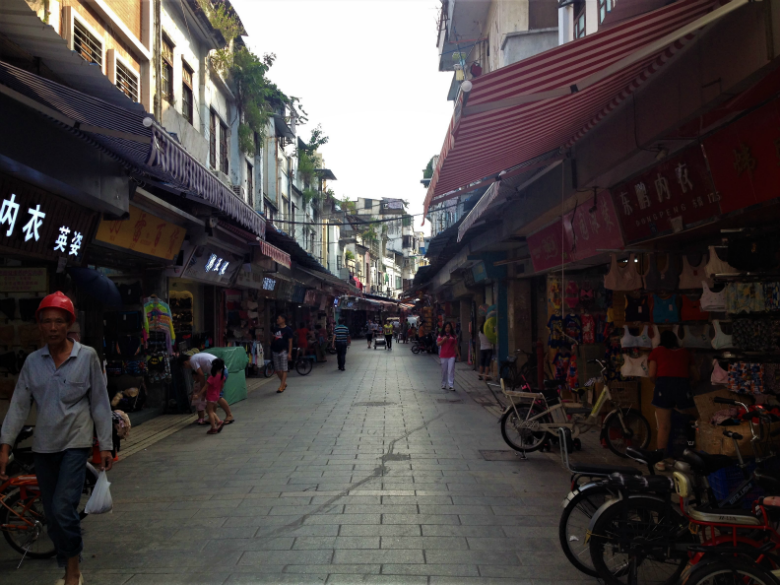 This informal classification of shops is an insight into Guangzhou's mercantile heart, beating as it has been for hundreds of years as a gateway into China—it was, after all, a major terminus on the maritime Silk Road. A further stumble through the city streets led us to the Grand Buddha Temple. At around 5pm we stood silently alongside locals and watched the early evening ceremony take place in a hot and smoky Buddha hall. Drums, chanting, bells and wafting incense created an enchanting trance-like atmosphere in which half-an-hour easily slipped away and we left to walk the backstreets again, this time in a haze of calm. Sunday morning was also a time for religious observation. 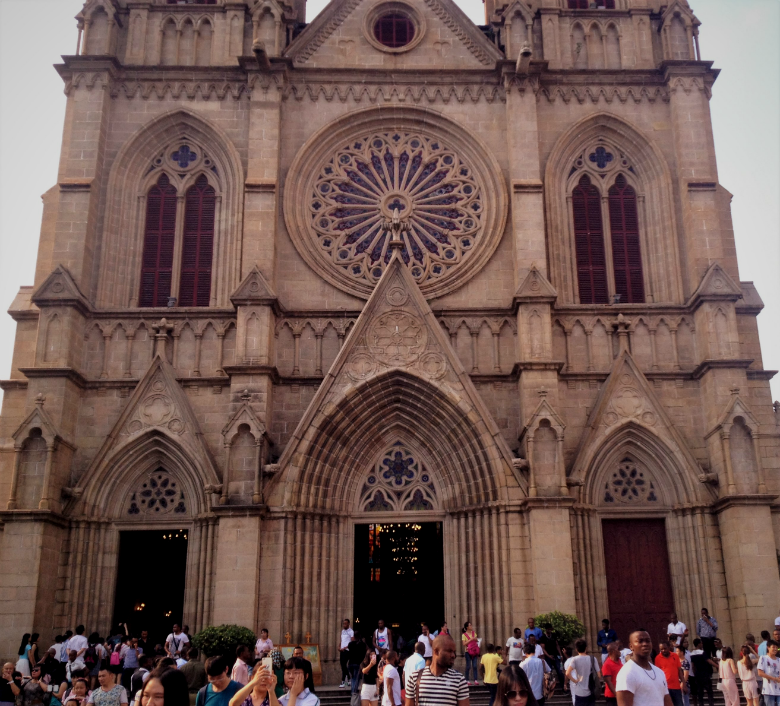 We followed Guangzhou's West African community, dressed in their Sunday best, towards to welcoming doors of Sacred Heart Cathedral (耶稣圣心主教座堂). Built in 1863 the alien building looms over old city lanes where people with disabilities wait with bowls held out for a charitable donations by churchgoers. Inside the French-commissioned cathedral, an international array of cultures gathered to spend their Sunday morning celebrating their Catholic religion. Clusters of curious domestic tourists poked their heads through the buildings old wooden doors driven by blatant intrigue. Vibrant, solemn singing resonated in the cavernous space, mingled with an uplifting sense of community, and rewarded our time spent sitting in the heat of the hall, trying to fit in. Here we perceived a more global Guangzhou than we had imagined. Guangzhou is Number Three in the list of China's gigantic megacities. Rather than a grey polluted mass of concrete that you might expect from a Chinese metropolis, away from what the world so often presents as "China", we found a spirited cross-section of life we hadn't expected. The Metro system was clean. Signs were in English. People were happy to help us—surprisingly this included the military police, and a non-military police guy actually phoned our hotel for us on his mobile when we couldn't find it. 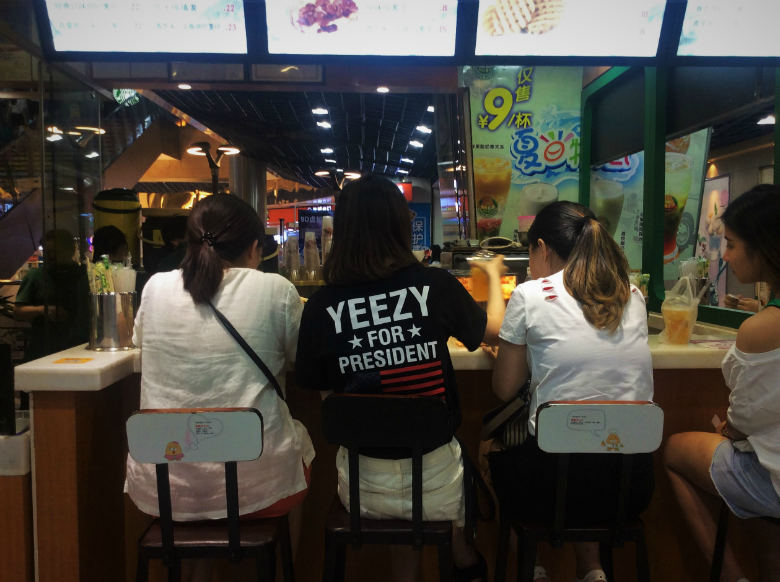 We saw a girl wearing a "Yeezy for President" tee while she sipped on bubble tea in the subway. Yeah so, the military police can look a bit scary, some people smoked inside, a lady changed her child's nappy on the station floor, there are no benches to sit on in the station, a woman helped her kid piss in the middle of the shopping street (thankfully into a drain). But that shows no lack of culture, just a different one to the one we live in. 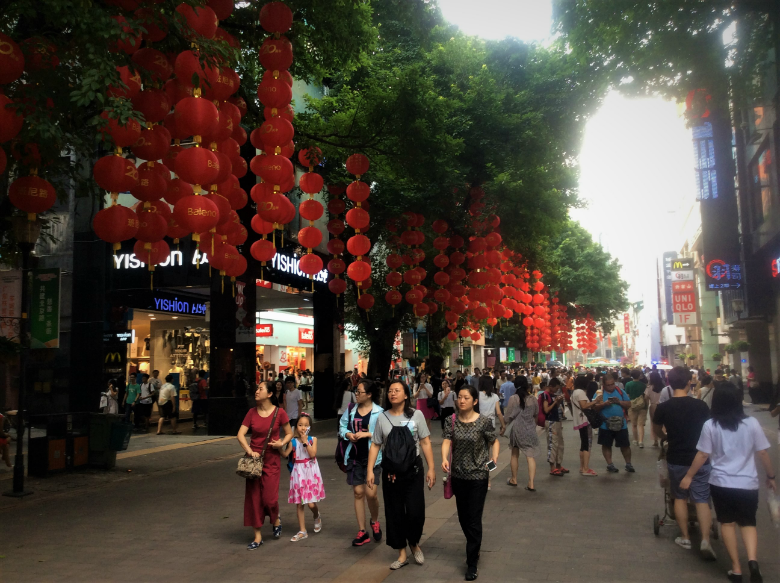 A warming toe-dip into the wildness of China, Guangzhou is an endearing mixture of recognisable shopping habits, unforeseen religion, history and family life that we realise we could never properly investigate with two days' urban trudge. 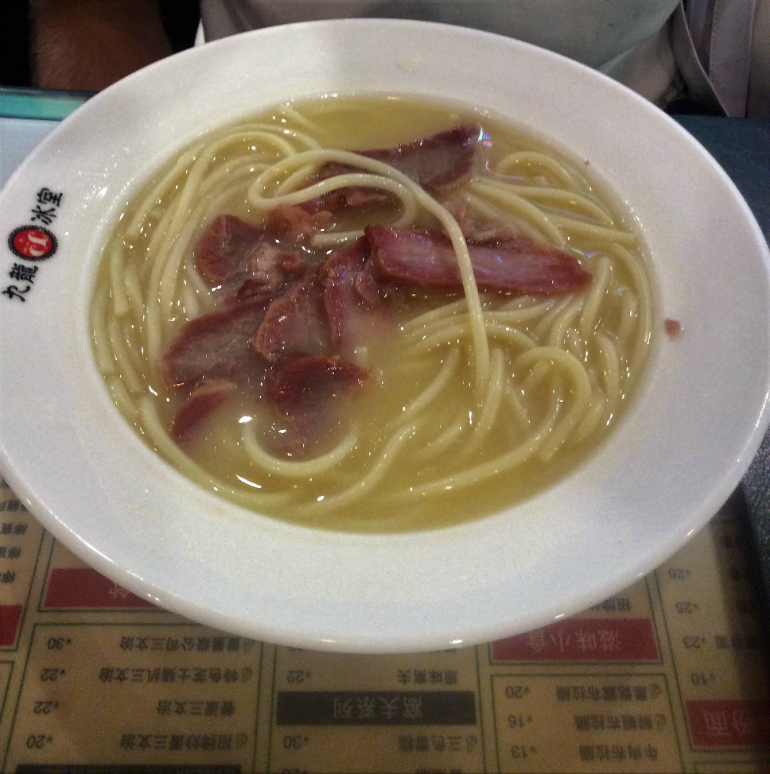 Our first meal in China was eaten in the relative safety of a Hong Kong restaurant that we came across in the upper floors of a mall off Beijing Road. An English menu and relatable but exotic food combinations like scrambled egg on toast with a bowl of macaroni in chicken broth on the side saved us from getting too hangry. The coffee was awful but the food and price were decent. The ice-creams looked immense. Definitely a popular local spot. The teenage staff giggled nervously when serving us, pushing each other forward to try out their best English. 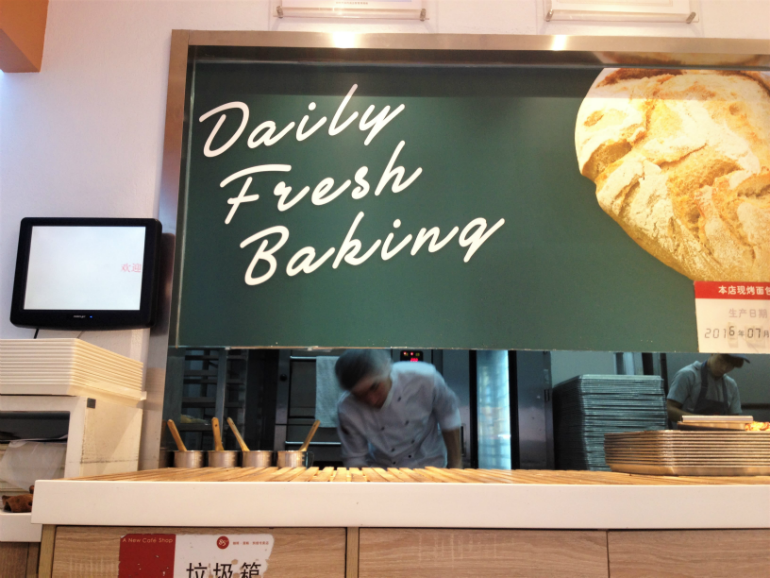 An old Taiwanese favorite, this chain makes tasty baked good and sandwiches with good coffee and good prices as well as a place to sit and regroup. Some of their weird food combos are classically Asia-does-French-bakeries, however having said that we would happily chow down on their version of French toast right now. Dehydrated and tired from a day’s pavement pounding a tea shop appears when you need it most, just before you get on the metro on the way home. This one was at Gongyuanqian Station, but the name escapes us. The Mango ice tea was immensely refreshing: it is like tea-flavoured mango juice or mango-flavoured ice tea—whichever way you look at it, it's tasty. We stayed at Guangzhou South Railway Station Number One Hotel (booking.com; around CNY115/£15 per night). Far out of the city centre, this hotel is not recommended for those wanting to soak in Guangzhou's buzz. But if you are looking for an unusual experience where you can learn about China's strange suburbs then you could give this place a go. The hotel is clean, cheap and friendly. Do note, as we mentioned above, that you need to call the hotel somehow when you arrive at Guangzhou South Railway Station. And also do note that the hotel is not 200m from this giant landmark, and every time you want to get into the city you've gotta traverse a big open spaghetti highway and some neglected subways to get across them. But we managed.